Flixable has become the best way to browse the Netflix catalog. Netflix has never made it easy to find stuff to watch. Considering how much data the company has about its users How Does Netflix Make Money? How Does Netflix Make Money? Netflix is the biggest video streaming service in the world. It serves 190 countries with over 109 million users. And all without ads ruining your viewing experience. So then how exactly does Netflix make any... Read More , the recommendations it throws out are disappointingly unimaginative and repetitive. It’s a shame because the amount of content on the service is mind-blowing. 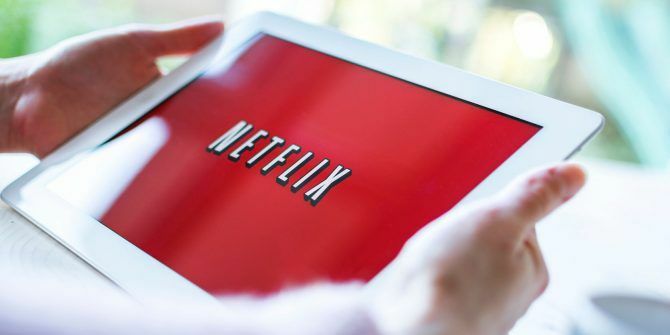 One only needs to look at some of the gems lurking behind the secret codes How to Enter Netflix's Secret Codes How to Enter Netflix's Secret Codes Using Netflix's secret codes requires a little fiddling on your end. Read More . Several sites have tried to provide a better way to search the catalog, but Flixable’s beauty is in its simplicity. Use the tab to flick between movies and TV shows. Below the tab are the simple-but-effective filters. You can search by genre and IMDb rating and can order the results in various ways. It also offers a sliding bar for the release date. For example, you could choose to find movies that hit cinemas between 1966 and 1971. At the top of the page, you can click on Leaving to find shows and movies which Netflix will soon remove from its catalog. It’s always worth keeping an eye on here, Netflix removes content on a near-daily basis, and you don’t want to miss out on something entertaining. There’s also a tab for Netflix originals and content that’s currently popular. At the time of writing, Flixable only works in the US, UK, Canada, The Netherlands, and Finland. Has Flixable become an essential part of your movie-watching repertoire? Let us know in the comments below. I guess it is too hard to link to the site in your article. But Flixable NEEDS a way to filter Netflix originals on their calendar view. how can you use this on your tv? When I am on netflix I only have the menu they provide. How can you then search Netflix to find the movie you want. This takes a momentous amount of patience to get to the bottom to the search function. Help. How can I check that out?